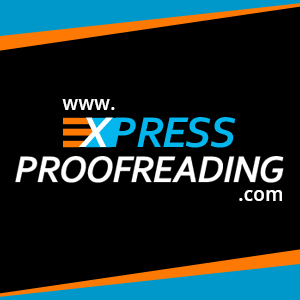 Express Proofreading offers a comprehensive journal editing and proofreading service for academics of all levels of experience and varying backgrounds. We cover all academic disciplines and will match your work to one of our editors with the most relevant background and experience to your subject field. Our journal editing service is of the highest quality, as all of our journal editors have the highest levels of expertise. As a minimum we ensure that all of our editors hold Masters/PhD qualifications from leading British universities, and have extensive experience in the field of proofreading journals. Due to the expertise of our editors we are able to ensure that your journal article is not only free from spelling mistakes and grammatical errors. We will also check syntax, sentence structure and are able to recommend improvements and suggestions that may be relevant to your work. Sending your journal article to us for journal proofreading and editing before you submit it to an appropriate journal, may help you increase the chances of your journal article being approved by potential journal editors and peer reviewers. Our journal article proofreaders and editors can help be it a first draft, or a final copy. You may be in the position of having already submitted your journal article and the journal article being rejected on the basis of problems with, language, formatting or grammar. We can help ensure that these issues are corrected. Once you place your order simply include any specific requirements or comments by previous reviewers and we will take those into consideration. Many of our clients are senior academics and scientists who are not native speakers of English, however they wish to publish their research in the English language. Our journal proofreaders assist such academics to ensure that their work and research is communicated in a clear, concise manner. Having said this, the services offered by us are also extremely useful for native speakers of English who would like a second pair of professionally trained eyes to ensure that their journal articles are ready for submission and publication. Careful and considered journal editing is essential when preparing a journal article for publication. Checking your own work and having colleagues or mentors read the paper and offer a constructive commentary is highly recommended. However, for extra assurance and peace of mind there is simply no substitute for the services of a professional proofreader who specialises in academic or scientific writing. When you send your article to us, you can be confident that a highly educated native speaker of English who is familiar with your discipline and subject area will proofread your journal article with the utmost attention to detail, correcting any errors in your grammar, spelling and punctuation and ensuring that you have observed all the journal requirements for structure, formatting and referencing. If you would like to place an order for us to proofread and edit your journal paper, simply click the ‘Instant Quote’ button below. Select the service you require, followed by the turnaround time you require, then upload your journal article and our Quote Generator will calculate an individual quote for you based upon the word count of your document. Once you are happy with your quote you can then input your personal details and specific requirements and proceed to our secure checkout page where you will be able to pay via our secure PayPal payment gateway. Once you complete your order we will receive your journal article and will begin the proofreading and editing process.